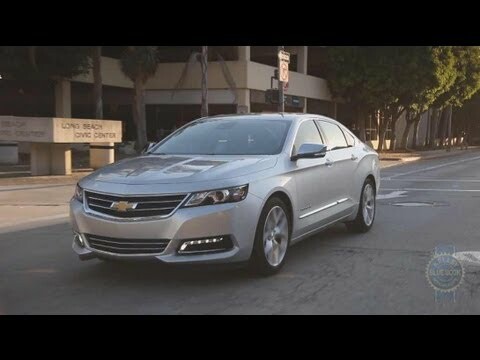 Chevrolet has once again made the Impala the go-to car for American families seeking value, comfort, style and cutting-edge features. No longer a rental car look-alike, the 2016 Impala sedan from Chevrolet is more than a match for the Toyota Avalon, Dodge Charger and Ford Taurus. The Impala's impressive list of safety and high-tech entertainment features further bolsters its leadership role. Mr. Very happy 2016 Chevy impala lt owner. My 2016 Chevy impala is a great vehicle. The v-6 engine has remarkable acceleration and cruises smoothly at highway speeds. The vehicle has a stylish interior with easy to reach controls for radio and ac/heat. Controls are also built into the steering wheel. The front seats are very comfortable and spacious. The rear seats offer plenty of legroom while providing a very comfortable ride. The trunk is large and spacious. Yes, and by the way; the body style looks very nice. I have only one concern with my 2016 Chevy impala, lt and that is the limited view in the rear window. The rear window is small and this definitely reduces the rear view. Overall, I am very pleased with the performance and look of this vehicle. I definitely recommend this vehicle to everyone. Thank you. The exhaust I like so much. I like the model I got the Impala Limited LTZ. It's like a souped up version Like the SS but with a luxury feel also inside. The spoiler on the back I believe is what sets it off. It is the second dark colored car I have owned and yes it's pretty and sharp clean. It's hard to keep it that way. If you wash it. You HAVE TO dry it off quickly before you get water spots on it.Even the dew causes water spots. And while it's a souped up version I have a heavy foot and the sound on the exhaust. Makes me get on it a little more than I should cause it will always makes the MPG a lot lower. But still love it. 2016 Chevrolet Impala LTZ shortish new review.